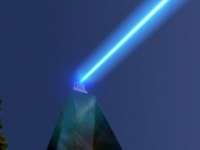 - It's mentioned that the asteroid deflector stops the wind and thunder in order to save the tribe. But why would there be wind and thunder in the first place? It's an asteroid impact, not a thunderstorm. 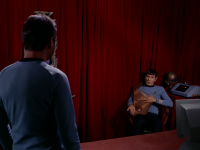 - This episode incorrectly refers to the Vulcan mind meld as a "Vulcan mind fusion." - This episode establishes that sustained flight at warp 9 is very straining for the Enterprise's engines. - Spock's rather elementary school explanation of asteroid deflection to McCoy. - Kirk giving the drowning boy CPR and then being revered as a god for saving him. 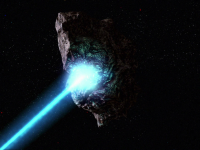 - Spock attempting to destroy the asteroid. 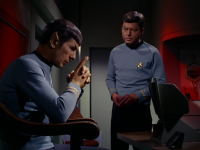 - Scotty bemoaning about Spock's heavy demands on the ship's systems. - Spock continually ignoring McCoy's advice weeks later. - Spock deciphering the symbols on the alien monument. - Spock's mind meld with Kirk. - The death of Kirk's wife. The Paradise Syndrome tackles basically the same "captain burnout" issue as Shore Leave except it attempts to do so dramatically rather than comically. The drama is effective, but the episode overall doesn't work as well as its funnier predecessor for a few key reasons. The most annoying gaffe in the story is pretty much anything that comes out of McCoy's mouth up until close to the end. In the beginning he fails to understand the most elementary concepts about their asteroid deflection mission and Spock is forced to take considerable time in the middle of a crisis situation to explain these basics to him. Then McCoy has the audacity to complain to Spock about failing to destroy the asteroid, putting the ship at risk, and leaving Kirk on the planet despite the fact that 1. McCoy creating delays only made their problems worse and 2. 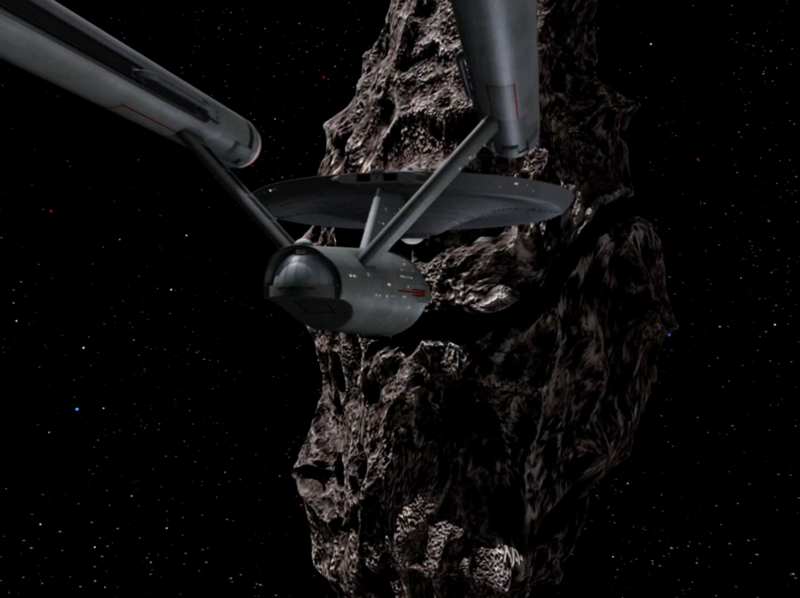 Spock's decision to immediately attempt deflection of the asteroid was the right move. If McCoy had been paying attention he'd know that. Luckily, McCoy swallows his pride and admits that he was wrong late in the episode, but after all that the apology feels somewhat hollow. Unfortunately as annoying as McCoy was, he was partially right about one thing: why didn't they keep looking for Kirk? Granted McCoy wanted the whole ship to stay and search for Kirk, but there is a middle ground between McCoy's position on the issue and Spock's: they could have simply left a search team on the planet, then immediately warped out of orbit to deflect the asteroid while the search team searched for Kirk. Perhaps Starfleet regulations prohibit such a course of action, or perhaps there was not sufficient time to properly equip a search team, but someone should have mentioned this. Another point of vagueness was how Spock cracked the language of the obelisk to begin with. The eureka moment is when Spock claims the language is more music than language, but that doesn't really explain anything at all. Musical notation is a form of written language like any other, so since he couldn't know which symbols corresponded to which musical notes, the problem is analogous to not knowing which letters in an alphabet correspond to which phonetic sounds. Thus, I have a hard time believing Spock could have cracked any of that language based solely on what exposition is in the plot. I suppose some universal translator magic could have done most of the work for him once Spock simply asked the computer to translate it as music rather than language, but that seems like a stretch. And then there's the almost-but-not-quite Hodgkin's Law moment in the teaser. 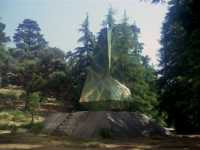 After all the Earth-like planets we've seen by this point it's vaguely ridiculous for the characters to be spouting lines about how incredibly improbable it is for the planet of the week to have flora so closely mirroring Earth's. 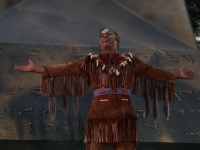 I groaned when McCoy saw the natives and referred to them as "American Indians" and Spock replied that they were, without wondering even for a moment how Native Americans could have ended up on some random planet far from Earth. As the episode progresses it does offer us a coherent explanation though: the aliens are actually humans descended from Native Americans. They were brought here by an alien race called "The Preservers" ostensibly to save them from extinction. As McCoy points out, the historical existence of The Preservers goes a long way towards explaining why there are so many human-like races throughout the galaxy. 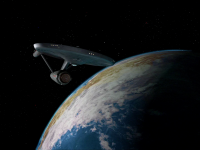 In that sense, this episode joins Return to Tomorrow in rationalizing that unlikely fact of the Star Trek universe. Perhaps many ancient races have seeded humanoids throughout the galaxy. The Preservers went the extra mile though, furnishing our Native American friends with an asteroid deflector! Handy. 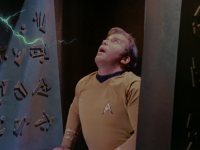 I was amused that they integrated the technology into their religious superstitions and I enjoyed how Kirk's foggy recollection of his society's technology made him seem godlike to them. However, there is something of a dark side to that story point as well, as the episode at times verges on racist stereotyping. 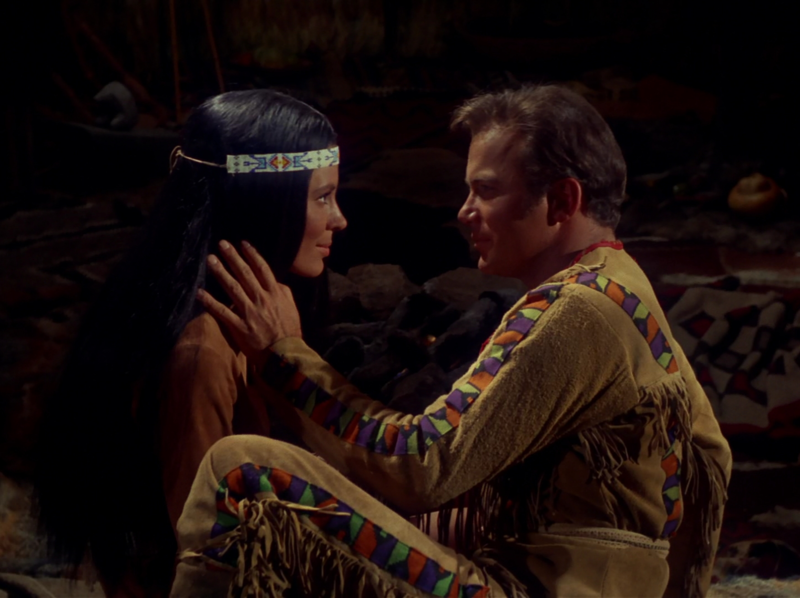 For starters, the Native Americans are referred to as American Indians and their entire society is portrayed mostly as noble savages while the plot goes out of its way to make Kirk, the white character, seem superior with numerous scenes depicting how the natives are amazed by such simple things as Kirk's improvised lamp or even the construction of his uniform. Even with amnesia Kirk is regarded as godlike for his superior abilities and when the tribe realizes Kirk is not a god, they react violently and irrationally, even killing one of their own. I don't know if the writers meant it to come across this way, but the sheer number of questionably stereotypical details is hard to miss. 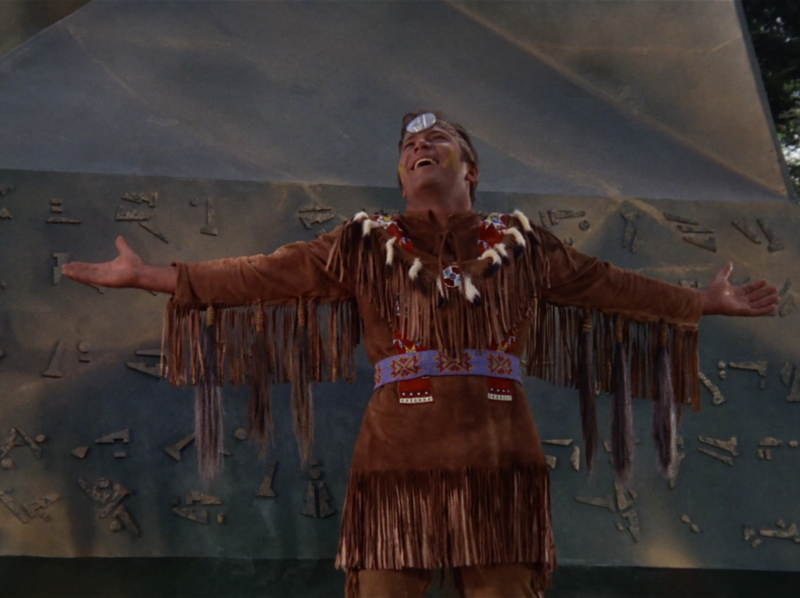 That said, sometimes stereotypes can be amusing and the one I'm most fond of is Kirk's machismo womanizing. This time he even got the girl of the week pregnant! Way to slip one past the goalie, Kirk! Indeed, like the pregnancy, the episode has a lot of highly original details. 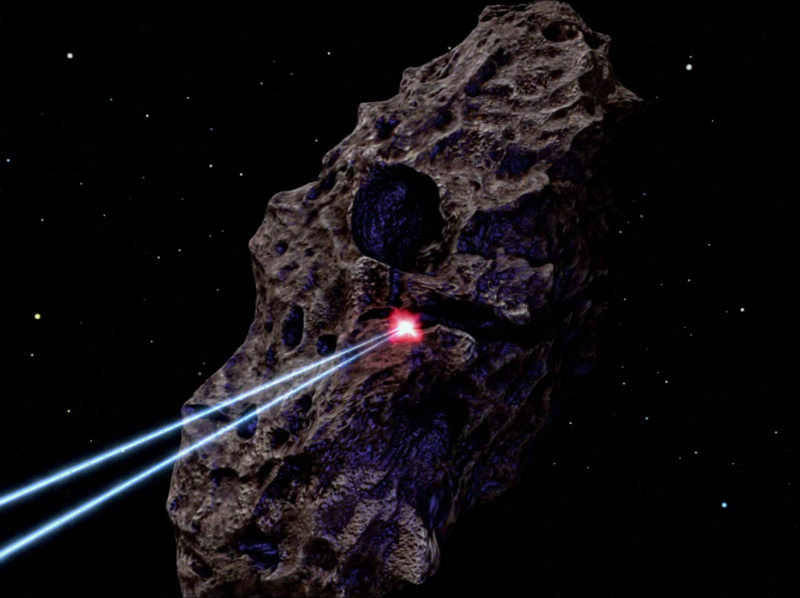 Kirk's amnesia, the asteroid deflection mission, the sheer amount of time covered by the plot, and even the episode's score (for once) were all refreshingly original. Overall if you can withstand the racial stereotypes and McCoy's borderline incompetence, the episode is a fun and refreshing change of pace. 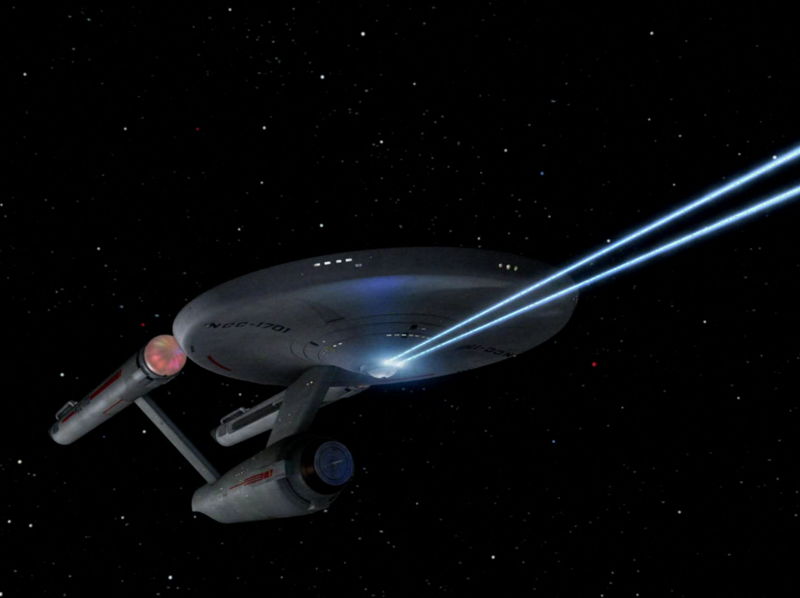 "Beam us up, Mr. Scott", said by Spock is the closest to "Beam me up, Scottie" to which Trek ever comes. I gave this one a 5/10. There were some interesting elements to the plot, but far too many nuisances. As Kethinov points out, McCoy was made out to be an utter moron. This is one of several episodes I've seen where the screenwriter clearly just wanted an excuse to have McCoy argue with Spock, even at the expense of McCoy's intelligence. They took it absurdly far in this one. I had EXACTLY the same thought about the musical notation. I don't care how intelligent Spock is - without some sort of baseline "key" or Rosetta Stone, there is absolutely no way that he could have discerned what kind of language he was looking at. Also, how exactly did the natives know that their "machine" had stopped working? And their violent stoning of "Kurok" and his woman was a laughably odd change in attitude. The general plot was, however, a decent one. 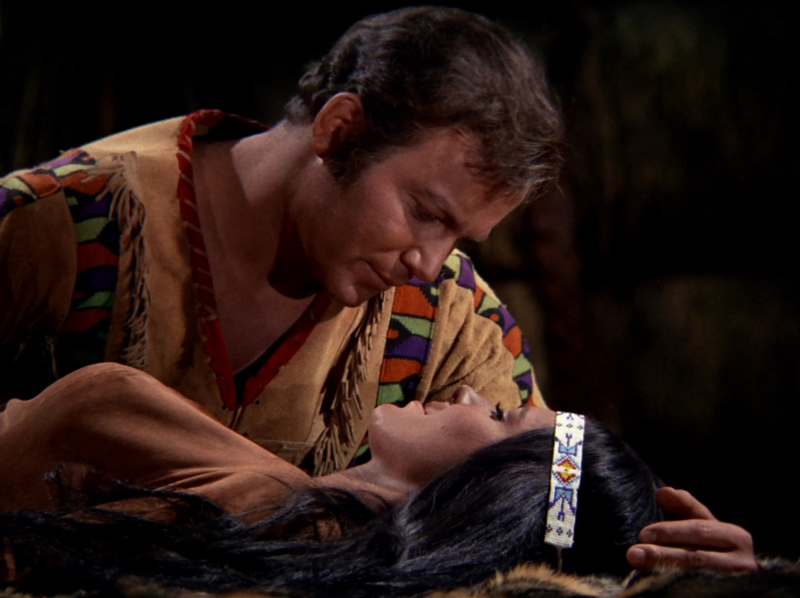 Having Kirk become amnesiac and go native was interesting, even if the native culture wasn't exactly very novel. And I do like the span of time that's covered, as it gives the story arc time to settle in and for major changes to occur organically within a single episode. At this point, I think that Scotty has become my favorite character, along with Spock. 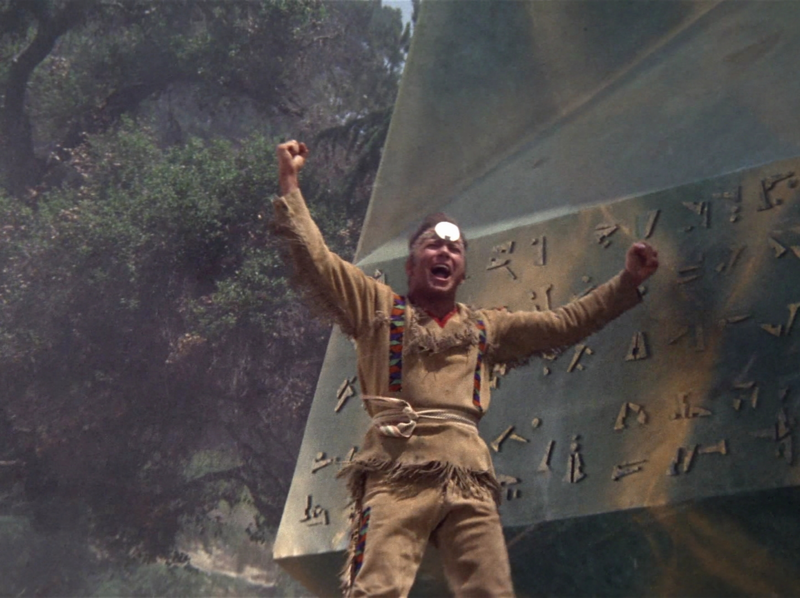 Pretty amazing coincidence that the "password" to open the obelisk just happened to be "Kirk to Enterprise". And what possible purpose could there have been for the builders of the obelisk to have included that "amnesia" button that could be triggered by an unwary occupant? 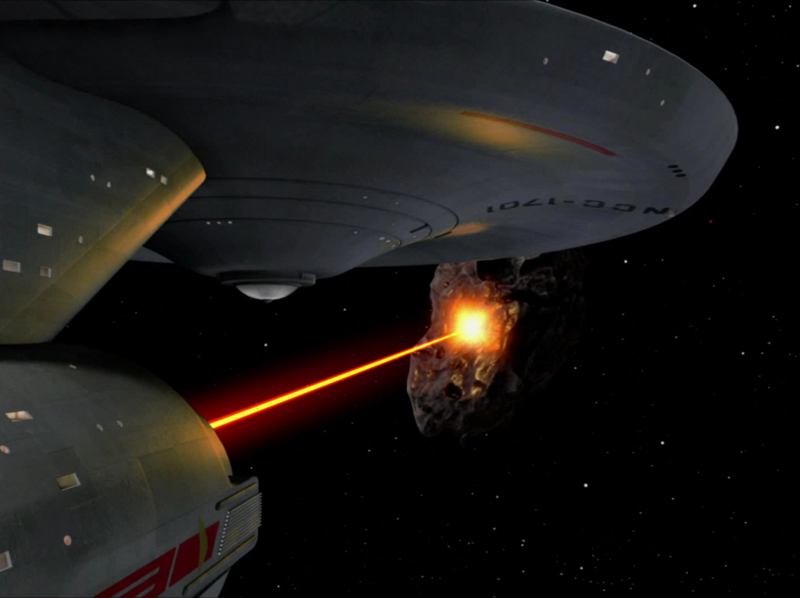 Lastly, about the enterprise: an asteroid hurtling through space is not going to be traveling anywhere near the speed of light. The enterprise crew must have screwed up pretty badly to reduce the engines to such a state that it couldn't travel faster than an asteroid for several weeks. And why couldn't Scotty restore the warp drive engines in all that time? He's never failed to do before or since, and there were LOTS of episodes in which the engines were burnt out. For that matter, how DID he repair the warp drive after finally returning to the planet and rescuing Kirk? Oh, and what a coincidence that the enterprise could travel EXACTLY as fast as the asteroid, without gaining or losing ground, over several weeks.